Wood Nunchaku Black With Ball Bearing Chain | BUDK.com - Knives & Swords At The Lowest Prices! 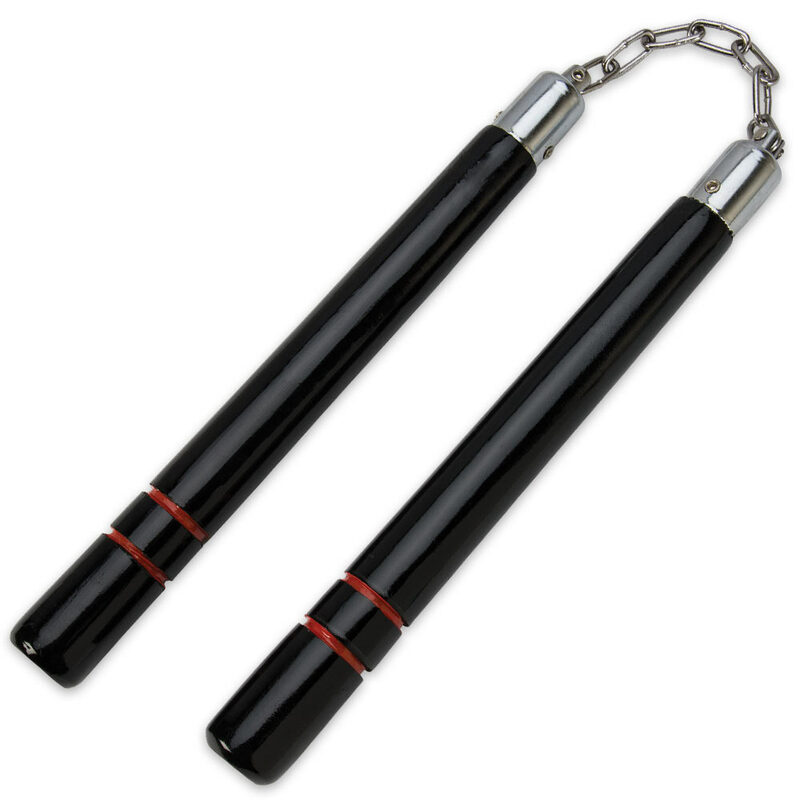 Add a high-quality pair of Nunchaku to your martial arts school or just for yourself. Made of a sturdy black round hardwood, these will last for years to come even with abuse. They have a ball bearing chain and are 12” in overall length. High-quality is what you want when you're looking for martial arts tools. Look no further! Myself, I wouldn't really say "hard" wood, but close enough. A bit loose where connected to head for the chain. Blemishes upon arrival. They do work though and for a "speed" pair, they does as intended, just lacking in stability with the looseness of connection. They look really cool but they break very easily. The bearings came out of the wood after only ten minutes of use. If you want a cool mantel/wall piece then this for you.